Breakthroughs such as self-driving vehicles, drones, and artificial intelligence could make our lives healthier, safer, and easier. But the same technologies raise the spectre of a frightening, alienating future—a jobless economy, complete loss of privacy, and ever-worsening economic inequality. Astonishing technological advances like these are arriving in increasing numbers. Scholar and entrepreneur Vivek Wadhwa uses this book to evaluate the potential impact of any new technology by asking three simple questions to ask about every emerging technology; 1) Does the technology have the potential to benefit everyone equally? 2) What are its risks and rewards? 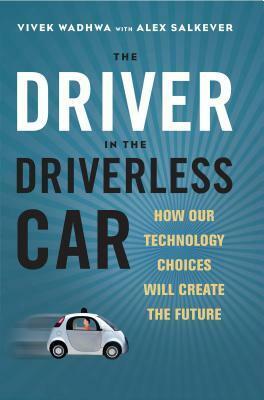 3) Does the technology promote autonomy or dependence? These are good questions to ask, and Wadhwa sets out to ask them of several new technologies—among them are artificial intelligence (AI), education and medicine powered by AI, robotics, drones, genetic engineering (and precision medicine), and autonomous vehicles including selfdriving planes. Looking at a broad array of advances in this light, he emphasises that the future is up to us to create.